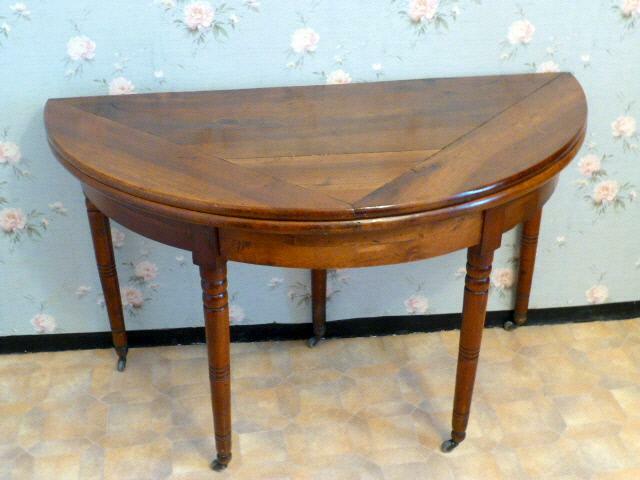 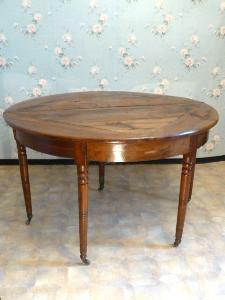 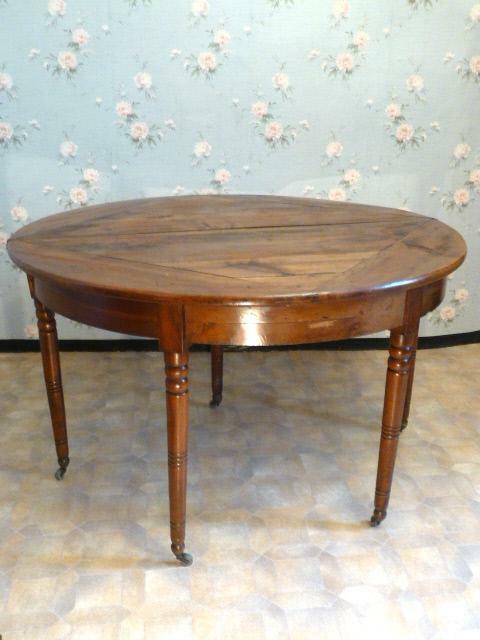 Big folding walnut table half moon Louis Philippe style on wheels. 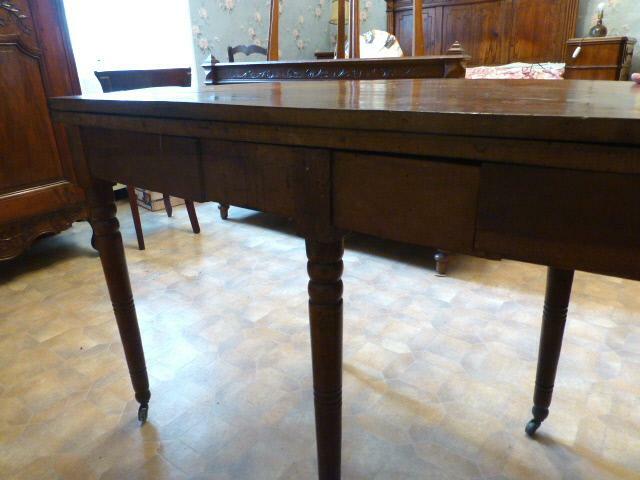 Maded at the end of 19th century, this table has an hidden drawer. 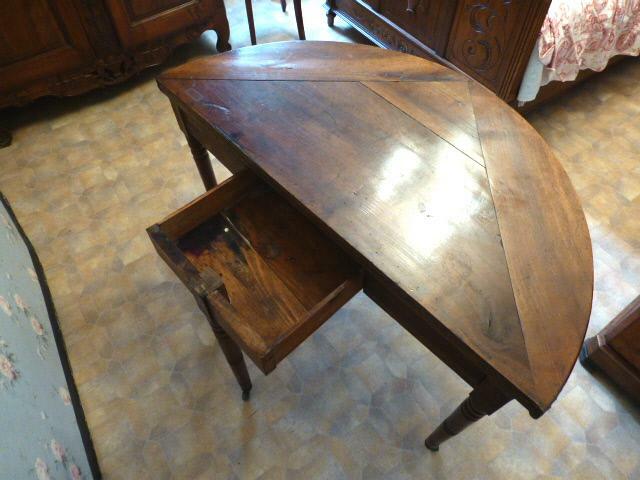 When the table is fold, the drawer is visible but when she is unfold, the drawer is not visible. 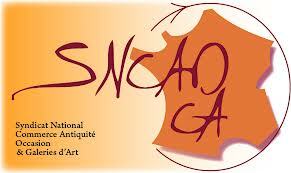 Can be sold in statut or painted according to your choice your wishes.